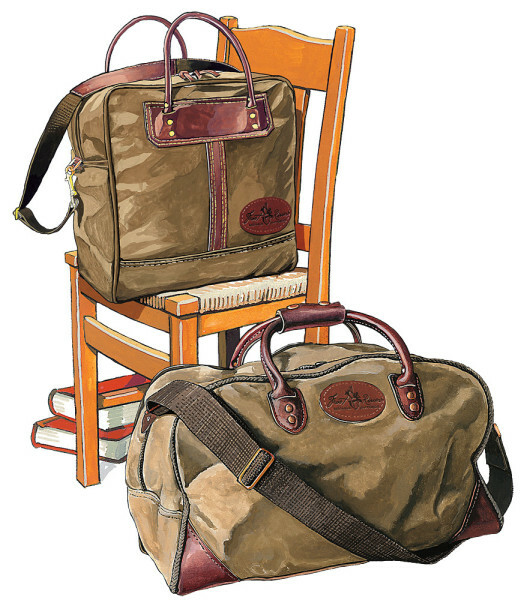 The chair is from an old Duluth Pack catalog (all the art of which is under my copyright). The Frost River luggage replaced the original Duluth Pack book bags sitting on and hanging from the chair. Gouache and some digital.